Loretta Ford, a well known nurse practitioner in the United States, began the nurse practitioner movement in the early 1960s and paved way for nurse practitioner education on a national level. Her efforts to promote specialized nurse practitioner training helped empower many nurses. Today, there are over 140,000 nurse practitioners who are providing healthcare services in various capacities. 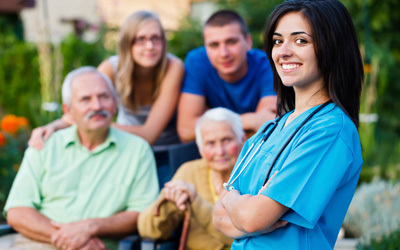 Why you should become a family nurse practitioner? Positive employment prospects – The demand for FNPs is steady in healthcare settings. Work directly with patients – NPs is the closest you can get to being a doctor without actually becoming one, and can treat patients directly. Sense of achievement – As an FNP, you can help patients on a daily basis. Salary potential – Generally, NPs qualify for a higher income as compared to registered nurses or licensed practical nurses. Work settings – FNPs can work in different healthcare settings such as clinics, hospitals, community health centers, etc. Impact your community – By helping one family at a time, you can make a huge difference in your community. How to become an FNP? This program is designed to prepare registered nurses for the role of an FNP. The program will focus on academic knowledge as well as clinical skill development. Students enrolled in this program will explore various nursing theories, learn about evidence-based practice, and conduct research. In this course, students will learn how to differentiate between normal and abnormal findings using various assessment techniques. Topics such as disease prevention strategies, clinical reasoning, and case studies are covered. This course will help students extend and build their knowledge of pharmacology. The main focus of the course will be on complex drug regimens, drug therapy, illnesses across the human lifespan, and pharmacological interventions. In this course, students will gain an in-depth understanding of advanced concepts of physiology and pathophysiology. Topics such as the following will be covered: autonomic nervous systems, skeletal systems, organ systems, respiratory systems, and more. This course will provide students with knowledge of common chronic and acute health problems among the adult population. This course will help students develop a solid basis for clinical reasoning and practice. Students will learn about pathophysiologic processes, human anatomy and research findings, and diverse populations. How long does it take to complete a master’s degree in family nurse practitioner program? It typically takes two years to complete an FNP masters program. You must earn a minimum number of credit hours (50-60 coursework credits and 500-600 clinical hours), and complete all the program components within the given time frame. The credit hour requirement may vary from state to state. Can you get an online family nurse practitioner degree? Yes, you can earn an FNP degree online. Many schools are offering hybrid FNP programs. In a hybrid program, you can complete the theoretical portion of the program online with the help of tutorials, online lectures, and conferencing. However, you will be required to take a few classes on-campus for training purposes. Online education is suitable for individuals who are working and are looking for a flexible mode of study. A number of colleges are offering post-graduate and graduate level family nurse practitioner certificate programs. You can also pursue this program online. You can check with ANCC to find out more about the certification requirements. 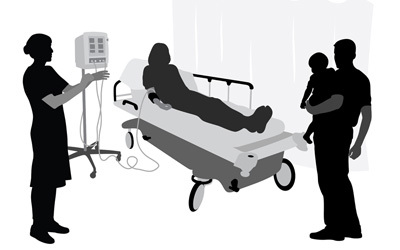 FNPs can work in different healthcare settings such as clinics, private homes, hospitals, and even schools. The income level will depend on a number of factors such as employer organization, state, and certification.